South Dakota requires every driver to prove financial responsibility in order to operate a vehicle. To meet this requirement, they are required to purchase car insurance. Read more about South Dakota car insurance requirements, rates, programs and discounts. Before operating a vehicle in this state, you are required to purchase and maintain the following insurance coverages: Liability coverage Uninsured and underinsured motorist coverage. Your insurance policy must include Uninsured and Underinsured Motorist coverage. This policy pays for injuries that result from an accident with a driver with inadequate insurance cover, or a driver without insurance. The duration of coverage showing the expiration date. NOTE: You can choose to show proof of insurance by use of alternative means which includes a Certificate of Self-Insurance or a certificate of deposit from the State Treasurer. Mandatory filling and carrying SR-22 proof of insurance for 3 years. NOTE: If at a certain point of time you decide to change your car insurance provider, you must request your new provider to re-file the SR-22. You lost your driving privileges. NOTE: If you continue violating traffic regulations, you may find it difficult to renew your car insurance. 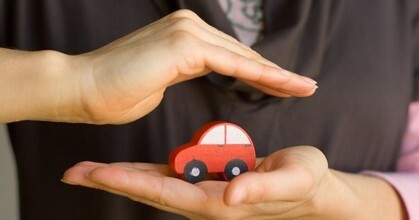 Car insurance companies have a right to deny insurance coverage for high risk drivers. So, if you are considered a high risk driver, you can apply for insurance coverage through South Dakota Automobile Insurance Plan. Through this plan, South Dakota car insurance companies share the risk associated with high-risk drivers. To get started, you can apply for coverage through this plan from any local car insurance agent in South Dakota. The South Dakota Division of Insurance is the body that is responsible for providing assistance with issues related to car insurance complaints. This body also handles car insurance fraud. It is advisable to attempt solving your car insurance dispute with your insurance provider. If the dispute is not resolved through this means, you can then seek help from South Dakota Division of Insurance. You can do so by filling an online complaint form; send it electronically or through mail. By fax at (605) 773-4629. Your deductible(s) that include the amount paid for your claim. Several insurance companies weigh certain factors when determining appropriate discount that may apply in your case. But remember that most companies first look for driving history before giving you an insurance quote.